The sprawling conurbation of Osaka, Kobe, and Kyoto forms the heart of the Kansai region and is Japan’s largest urban area after Tokyo. 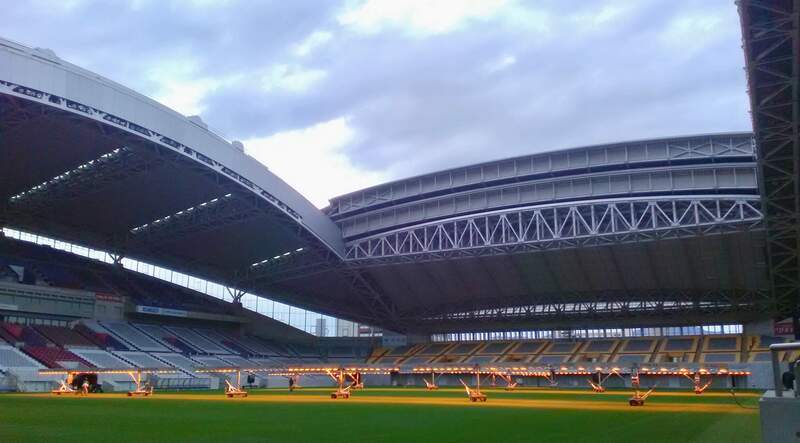 Two venues in the region will see World Cup action, Kobe Wing Stadium and Hanazono Rugby Stadium in Higashi-Osaka (East Osaka). 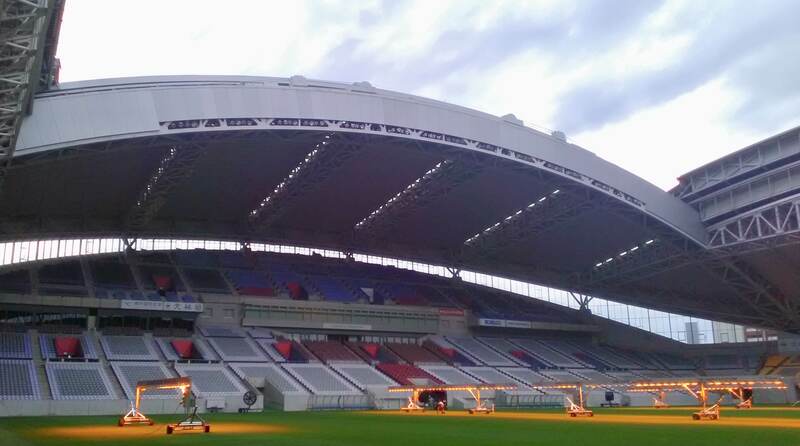 They’re both 30,000-seaters, and are hosting 4 pool matches apiece. 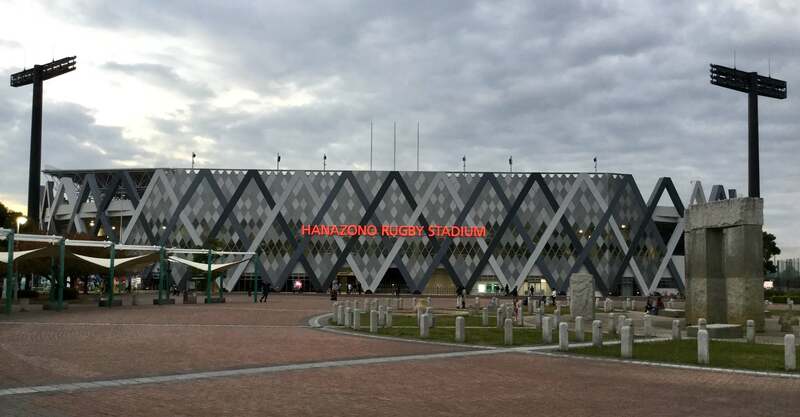 Higashi-Osaka’s Hanazono Stadium is one of the few dedicated rugby venues being used in 2019, and prides itself on being ‘the sacred ground of Japanese rugby’. 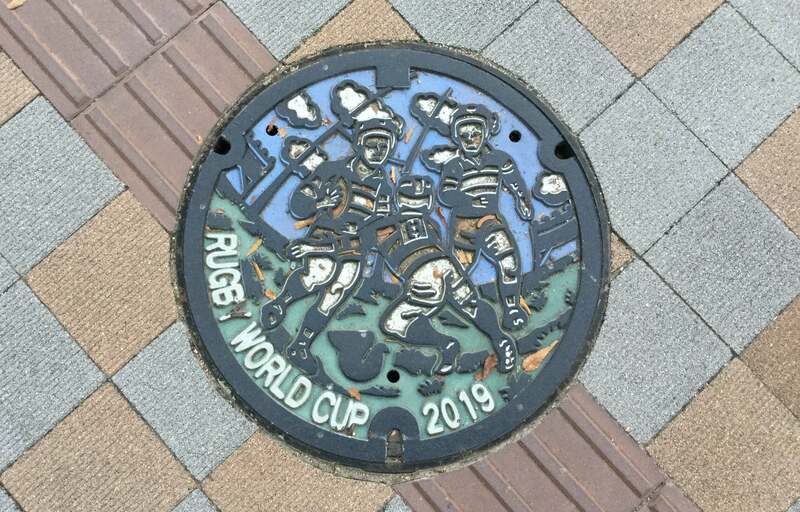 There are little signs of rugby fever everywhere in the detail of the road signs & manhole covers and so on, and even a small Shinto shrine dedicated to rugby in the area! 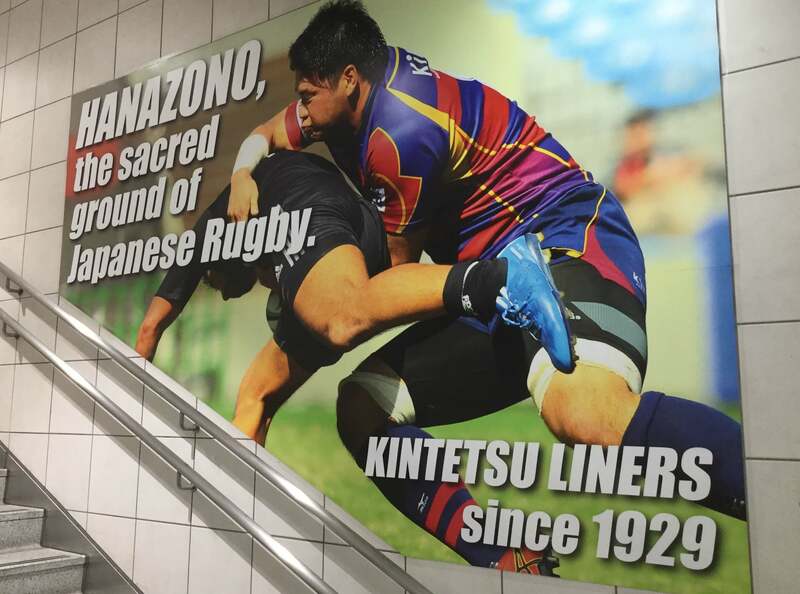 Hanazono is the home ground of Kintetsu Liners, one of the big teams of Japan’s Top League, and has been undergoing renovations to get it ready for the World Cup. 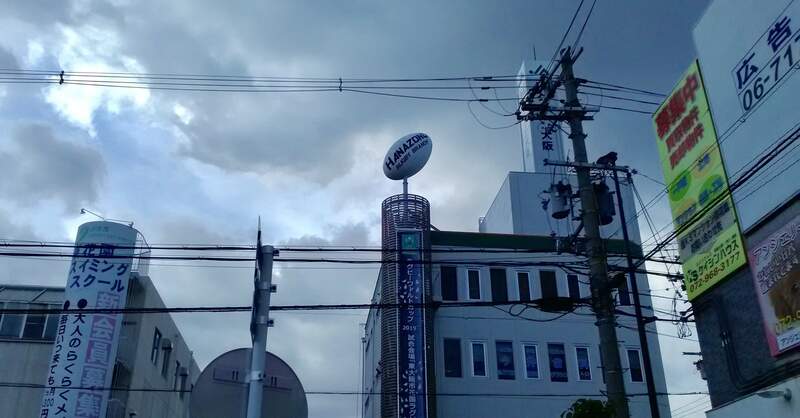 Kintetsu is actually a railway company, and you’ll be using their train to get to the stadium – take the Kintetsu Nara line from Osaka-Namba Station to Higashi Hanazono, and the stadium’s a 10-minute stroll north of the station. You can also transfer to the Kintetsu Line from the JR Loop Line at Tsuruhashi (this is the best route with a JR Pass), or from the subway at Nippombashi, Tanimachi 9-chome, or Tsuruhashi. 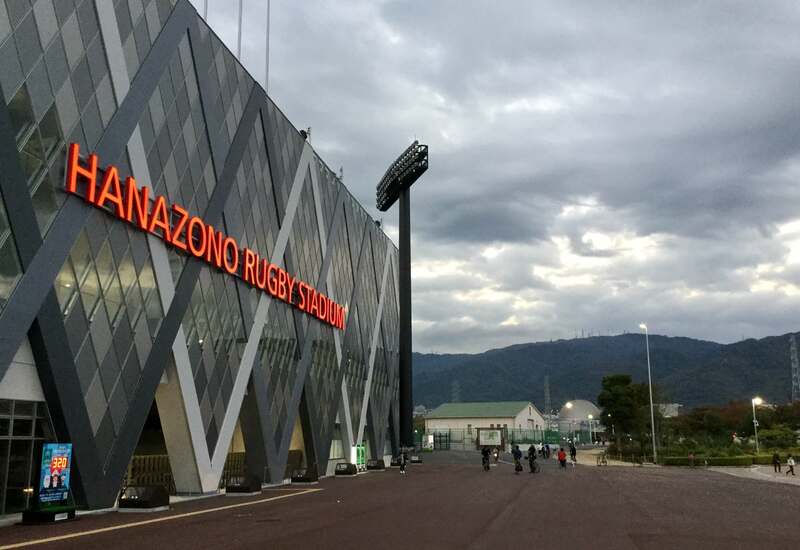 Still popularly known by its former name of Kobe Wing Stadium, Misaki Stadium is home to Vissel Kobe (football J1) and Kobelco Steelers (rugby union Top League), so while not a dedicated rugby stadium it does see regular rugby and was therefore a logical choice. 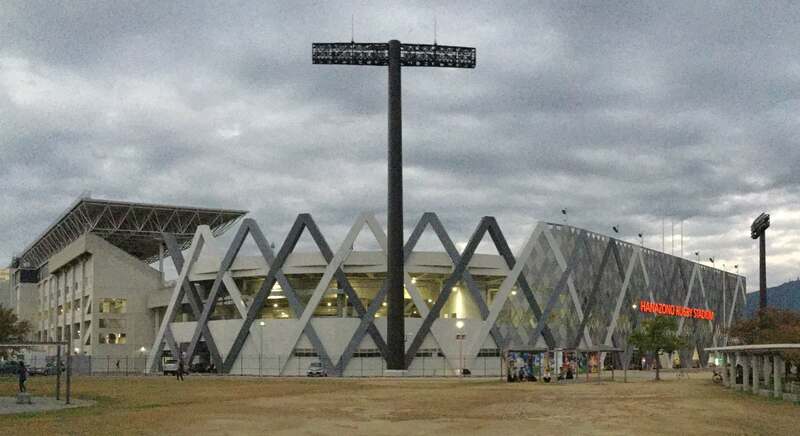 It was also used for a few matches in the 2002 FIFA World Cup. It’s one of the most convenient venues on the list, a short walk from Misaki-Koen Station on the Kobe Subway Kaigan Line. If staying in Osaka, you can ride the JR, Hankyu, or Hanshin lines (depending on your starting point) and change to the Kobe subway at Sannomiya. Kobe: Sannomiya’s the main centre of Kobe in terms of shopping, eating & drinking, and accommodation, and is the obvious place to stay; you can take the subway from Sannomiya straight to the stadium. 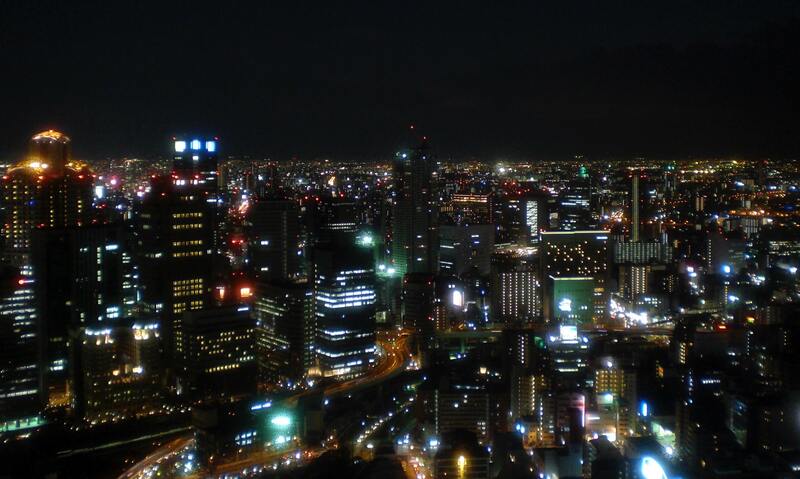 It’s also feasible to stay in Osaka, as it’s just 25 minutes from Osaka Station to Sannomiya; for this, Umeda would be the best place to stay. Ok, so the transportation in Kansai is a complex hodgepodge of train systems operated by different companies, some limited to one city and others running between cities. First piece of advice is to get the Icoca card from a JR station (the other IC card in Kansai, Pitapa, runs on a credit system so isn’t available to short-term visitors), which you preload with cash and can use on all trains and buses in the region (the JR Pass can also be useful if you have one, for the Osaka Loop Line and for intercity trips between Osaka, Kobe & Kyoto). Then check Hyperdia for train route details and just follow the suggested route (see here for an explanation on using Hyperdia), and the IC card works the payments out. If you already have an IC card from another region (e.g. Suica or Pasmo from Tokyo) you can also use it in Kansai. For more on IC cards see here. Shopping: in Osaka, the Namba & Shinsaibashi area is shopping central, with the long Shinsaibashi shopping arcade running north from the famous ‘Running Man’ bridge. For electronics, Yodabashi Camera in Umeda has absolutely everything and there’s also an older Bic Camera in Namba. In Kobe head to Sannomiya. Nightlife: Namba & Shinsaibashi are again the main nightlife zone in Osaka (and in fact the whole of Kansai), with all sorts of bars, restaurants, nightclubs, and not-for-tourists hostess clubs all densely packed in to the grid of streets between Namba, Shinsaibashi, Nagahoribashi and Nippombashi stations. The Amemura (‘America Village’) area on the other side of the main Midosuji boulevard is also home to many bars in the streets around Triangle Park (officially called Mitsu Park). 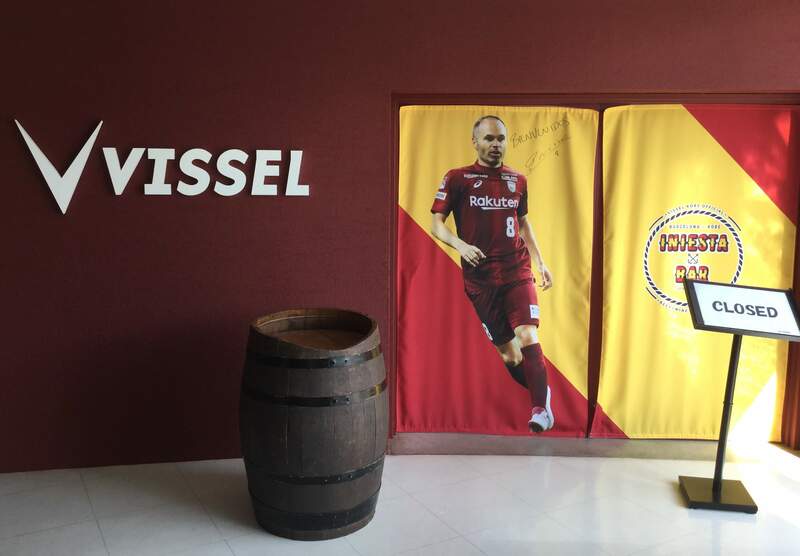 However, the best individual club in Kansai is surely Club World up in Kyoto – Osaka’s clubs are perhaps less impressive than you might expect, though if you’re only in town for a few days you’ve got enough different options. In central Kobe there are plenty of bars & eateries to check out, but Kobe kids do most of their clubbing in Osaka. Good bars for watching rugby matches: the Irish pubs Murphy’s (Shinsaibashi, see here) and Blarney Stone (one in Umeda & one in Shinsaibashi, see here) are solid options, as is Cafe Absinthe in Amemura (see here). There’s also the chain of ‘British’ pubs called Hub, with a Shinsaibashi branch (easily found on Google Maps) where I once watched England lose to France in the 2011 quarterfinals. Clubs: Sam & Dave (Shinsaibashi, trashy), Club Pure (round the corner from the Running Man bridge, trashy), Giraffe (Dotonbori canal next to the big Donki Hotei shop, trashy). There are many more, but these are the obvious big ones. There’s also Bar Heaven, a ridiculous after hours place hidden away up an elevator in Shinsaibashi – if you’re still going strong when the other places kick you out, head to Heaven and keep dancing & drinking until 10am. In Kyoto hit Club World near Kawaramachi Station, see here. Osaka Castle is the city’s most famous sight, standing in a large park in the centre of the city and surrounded by a moat. It’s one of the largest and most historically important castles in the country, though somewhat disappointingly the castle keep you see today is a 20th Century concrete reconstruction (the interior houses a museum). See the homepage here for more information, or to see a genuine original castle keep head out to Himeji’s White Egret Castle (30 to 40 minutes west by bullet train). Takoyaki: bite-sized balls of batter with chunks of octopus in the middle, usually served with 6 or 8 on a tray covered with bonito flakes and a heavy dose of mayo and takoyaki sauce (similar to barbecue sauce). 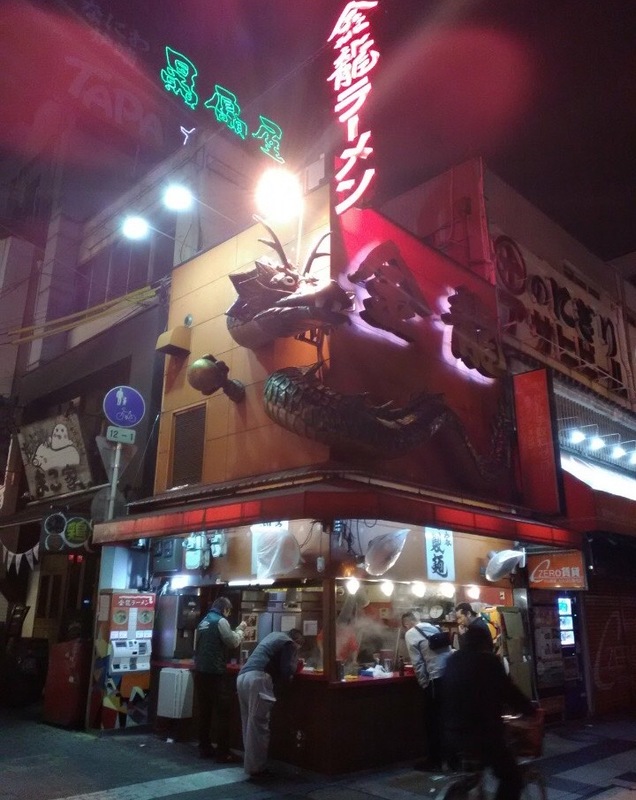 Usually served as a sharing dish at izakayas, or from roadside vendors – Dotonbori’s an obvious place to try them, you can grab some to eat as you wander around. Okonomiyaki: this isn’t Osaka specific, being found throughout western Japan, but there are two main styles – Osaka and Hiroshima. In all cases it’s basically a thick grilled pancake made with flour, eggs, cabbage, and whichever other fillings you order e.g. pork & kimchi, covered in the same mayo/sauce/bonito flake combination as takoyaki; the main regional differences are that the Hiroshima versions contain soba noodles and are layered, while the Osaka versions skip the noodles and are mixed before grilling. They’re all good of course, but you can earn brownie points with the locals by telling them theirs is best. Again, a good place to try it is Dotonbori where you’ll find plenty of okonomiyaki restaurants – it’s casual dining with a grill in the middle of your table (or you sit at the counter while they grill it in front of you) and plenty of beer to wash it down. Kushikatsu: the other must-eat while in Osaka is kushikatsu, basically deep fried food on sticks which you dip in a deep container of sauce. A wide range of ingredients is used, think slices of vegetables, chunks of tofu, quail eggs, and various meats, fish, and seafood. Kushikatsu is served all over the city (if you visit an izakaya they should have it), but it’s particularly associated with the Tsutenkaku/Shinsekai area (see below) where there are many specialist kushikatsu restaurants. Again, it’s casual dining with plenty of drinking expected. Kinryu Ramen, Dotonbori. Not the best ramen in the world, but far better than a dirty kebab at the end of the night and definitely hits the spot for 600 yen a bowl! Dotonbori: the Dotonbori Canal is located just north of Namba Station and forms the heart of Osaka’s southern hub, which is usually referred to as Minami (‘south’) or simply Namba but covers the whole Namba/Shinsaibashi/Amemura area. The canal itself is actually a pretty filthy little waterway, but the promenades along the banks were recently re-done and the main walking street running parallel to it (on the south side) is packed full of shops, eateries, and drinking holes. 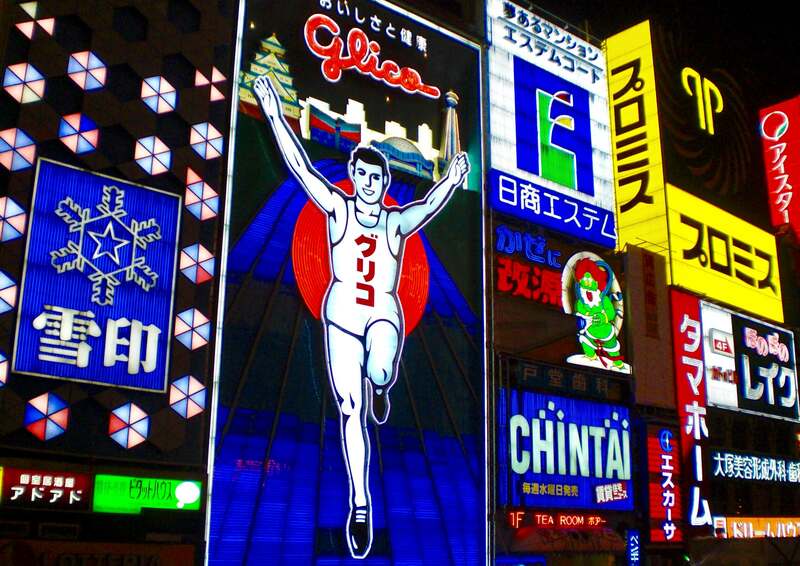 The city’s must-snap selfie view is the iconic Glico ‘Running Man’ sign next to Ebisubashi Bridge (Glico is a confectionary company), the obvious place to kick off your first evening in Osaka, and a good place to post yourself for a spot of people-watching before getting stuck into the food and drink all around you – this area is ideal for sampling takoyaki (easy to grab on the go from the roadside vendors) or okonomiyaki at one of the restaurants, not to mention ramen, sushi, fugu (blowfish), or anything else you fancy. The Shinsaibashi shopping arcade runs north-south from the bridge, and most of the bars & clubs are in the blocks north of the canal and east of the shopping arcade. Umeda: the other main hub of central Osaka is the Umeda area (also known as Kita, ‘north’) centred around Osaka Station (somewhat confusingly, the JR station is called Osaka Station but the subway and private railway stations next to & underneath it are called Umeda). It’s more business-oriented and less entertainment-oriented than Namba, but still has plenty going on. The recently-rebuilt Osaka Station is perhaps the most impressive train station in Japan, with a vaulting glass roof high over the platforms between the department stores flanking the tracks; exiting to the north you’ll find the massive Yodabashi Camera building and another recently-built and impressive redevelopment project called Grand Front Osaka (again, department store galore but also a pleasant urban space with gardens on the roof), to the south are more department stores and then the Kita-Shinchi entertainment district (aimed more at Japanese salarymen than young people or tourists), and beneath the station lies the most confusing subterranean labyrinth in Japan other than the inescapable Shinjuku in Tokyo. Just northwest of the station is the Umeda Sky Building with its ‘floating garden’ observaton deck (see here), and just east of the station there’s the Hep 5 department store with its distinctive red Ferris wheel on the roof. And of course tucked away everywhere there’s lots of food – the alleyways around and beneath Hankyu Umeda Station (on the north side of Hep 5) are good, there’s a shopping arcade district full of food & drink lying east of Hep 5, and the warrens under the main station connecting to the subway stations have some brilliant little noodle & kushikatsu stands, if you can find them. Good luck! Tsutenkaku & Shinsekai: Tsutenkaku (see here) is an odd little tower to the south of Namba, looking (for British readers, anyway) something like the offspring of Blackpool Tower and a dalek. There’s an observation deck up there of course, but the main attraction is the old-school streets of the Shinsekai district immediately around it. 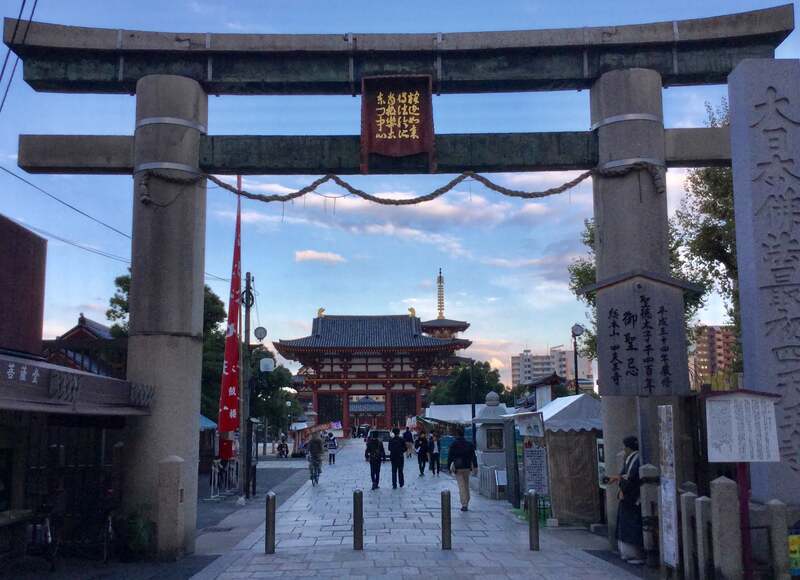 Shinsekai means ‘new world’, but the opposite is true – this nostalgic corner of Osaka feels like a preserved slice of old time Japan, and its atmospheric streets are also known as the best place to try kushikatsu. You couldn’t swing a cat there without hitting a kushikatsu joint, so just take a stroll and take a seat wherever looks good – the food is universally excellent. 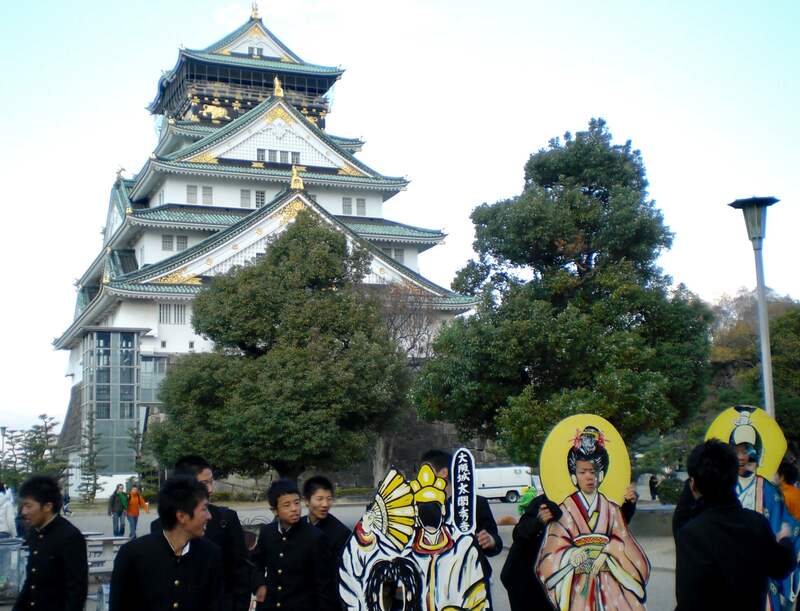 Abeno Harukas/Tennoji: Tennoji is another major transportation hub located southeast of Namba. Not so long ago it was pretty run-down but the area’s had a massive facelift in recent years, centered around the construction of Japan’s tallest skyscraper Abeno Harukas (only half the height of Tokyo Skytree, but architecturally speaking that’s classified as a tower, not a building). There’s an observation deck up at the top called Abeno Harukas 300 (as the building is 300m tall), see here for info, and there are a couple of big department stores next to it. A 10-minute walk north of Tennoji Station you can visit the enormous Shitennoji Temple, one of Japan’s oldest, and just to the west there’s Tennoji Park (with attached zoo). On the far side of Tennoji Park you come to Tsutenkaku (see above), just a 10 or 15 minute walk from the skyscraper or the temple so you can cover the whole area on foot. 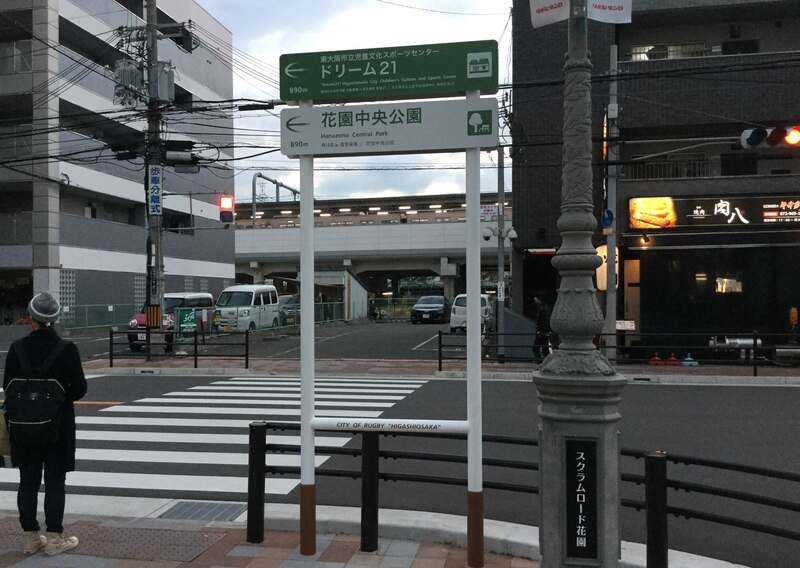 Do be aware that the area around Shin-Imamiya Station just west of Tsutenkaku & Tennoji Park was bypassed by the redevelopment of Tennoji and is one of Japan’s shadiest neighbourhoods – still not particularly shady in global terms, but definitely sketchier than most of the country. Waterfront: the Osakako (Osaka Port) area is home to the massive Tempozan Ferris wheel (pretty sure Japan must have the highest per capita Ferris wheel count on Earth), the Kaiyukan aquarium, and yet more department stores. Good option for a half-day of tourist attractions away from the crowded streets of Umeda or Namba, especially if you’ve got kids in tow. Sandwiched in a fairly narrow space between the mountains and the sea, Kobe’s an attractive city with a compact downtown area you can explore entirely on foot. Mt Rokko: the highest point along the ridge which stands behind downtown Kobe is Mt Rokko, easily accessed via the Mt Rokko Cablecar (see here, and access map here). The main attraction up there is the cracking views of the Kobe/Osaka (Hanshin) conurbation and Osaka Bay, and there’s also a botanical garden, shops and a museum, and even a tiny ski slope. 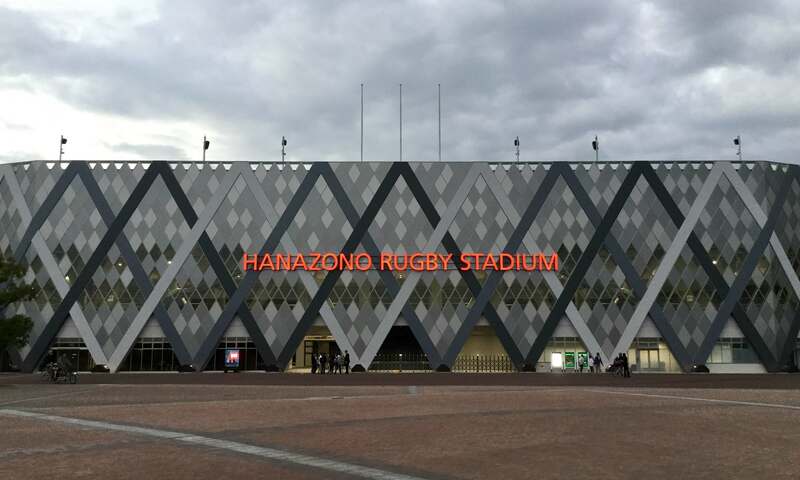 Any questions about watching the rugby in Osaka or Kobe? Give me a shout below and I’ll get back to you.